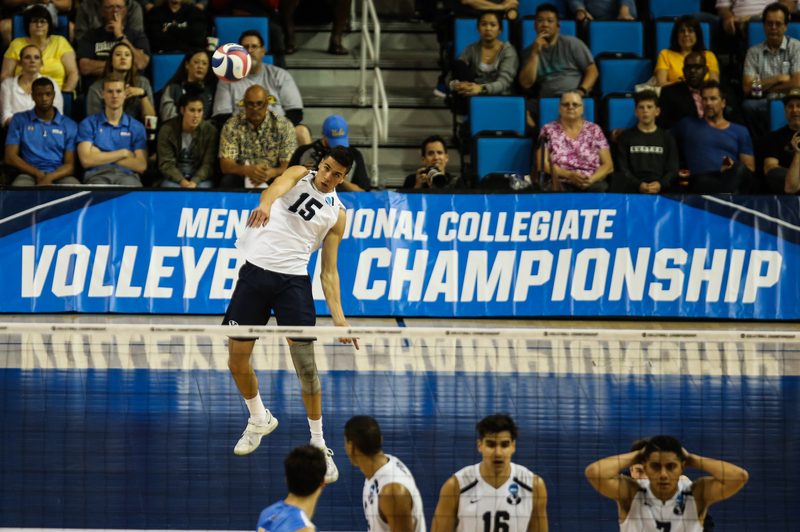 BYU volleyball star and All-American Brenden Sander will follow in his brother’s footsteps and begin his professional career in Italy with BluVolley Verona. The older Sander, Taylor, played in Verona for two seasons (2014–2016) following his BYU career and won the CEV Challenge Cup, the second-tier European tournament, with the club in 2016. Verona also reached the semifinals of the tournament last season despite a disappointing fifth-place finish in league play. Brenden was introduced as the newest member of the team on Monday, May 28, following a report by local writer Marzio Perbellini saying that the club was close to signing him. BYU’s season ended in disappointment less than a month ago when the team lost to UCLA in the NCAA semifinals in Los Angeles. Other graduates include setter Leo Durkin and inside hitter Price Jarman, but neither show as much promise and the young Sander, who was recently named to the 26-man roster for the United States in the upcoming FIVB Volleyball Nations League, though he did not play during the first weekend in China. If Brenden continues to follow the path of this older brother, however, he’ll have plenty of chances in the future to prove himself on the national level. Taylor has been a Team USA mainstay since leaving BYU in 2014, starting for the bronze medal-winning team in the 2016 Summer Olympics. Brenden leaves BYU with numerous accolades, being named to an All-MPSF team all four years of college, as well as receiving three All-American selections.